Are you covered if someone else pays your car insurance? Do you drive ‘uninsured’ if another pays your car insurance? People purchase car insurance for others all the time. But if this is done wrong, you can end up uninsured — which means you will not recover Michigan auto No-Fault insurance benefits, and you may even be barred from suing the wrongdoer driver. 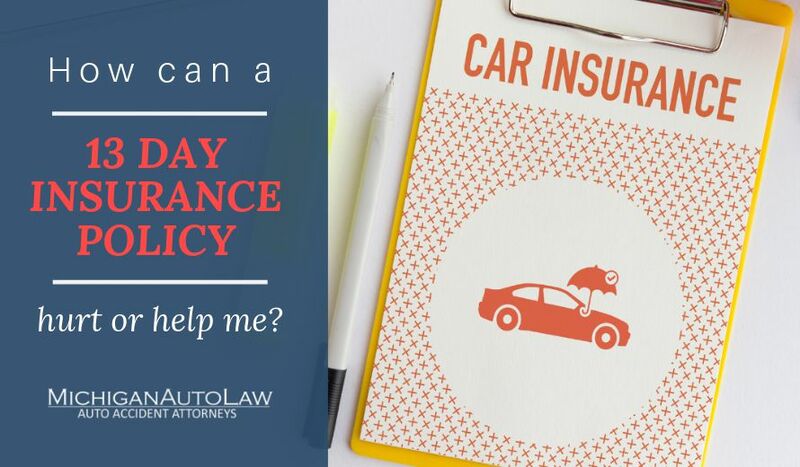 If a good friend or family member purchases a car insurance policy for you, are you actually insured under Michigan’s No-Fault Law? People purchase car insurance for others all the time. Often it is because people need a little financial help with buying auto No-Fault insurance. But the consequences can be truly dire if this is done wrong. You can end up uninsured, which means you will not recover Michigan auto No-Fault insurance benefits, and, you may even be barred under Michigan’s auto law from suing the wrongdoer driver who caused your car crash and your injuries if this is not done correctly. The answer to whether you are insured or not all depends on the relationship your auto insurance “angel” has to your car. If he’s a co-owner of the automobile being insured, then you’re covered. So, how do you know if your auto insurance benefactor qualifies as a co-owner? This is an important insurance issue that has evolved under Michigan’s tough auto laws into an unacceptable, shameful game of “gotcha” by the insurance companies. Most people have no idea that they are actually uninsured until it is too late — after the car crash has occurred and the insurance company that was paid the money to insure the vehicle refuses to pay PIP benefits. Even though a valid and legitimate auto insurance policy has been secured for a particular motor vehicle, the auto insurer — after gladly accepting all of the premiums — is off the hook. The insurer no longer is required to provide auto No-Fault benefits and the coverage it was paid to provide — merely because it was the “wrong” person who paid for the auto insurance policy. The issue in Adams was whether Eugene Johnson was a co-owner or “constructive owner” of his granddaughter’s car for which he had purchased a Home-Owners auto policy. If Mr. Johnson was deemed to not be a co-owner, then his granddaughter would be treated as an “uninsured” driver and, thus, would be legally barred from suing the at-fault driver for pain and suffering compensation, i.e., “noneconomic loss” damages. Did the person have the right to use the car or was she periodically borrowing the car? Did the person ask for permission from the title owner to use the car? Was the person’s use of the car regular over a period of months or more? Daily? Or was use sporadic? Did the person park the car at his residence? Did the person use the car to go to and from work? To run errands? Did the person pay for the car? Did the person pay for the car insurance? Did the person have his own set of keys? Did the person fuel and maintain the car? Ultimately, the Adams court determined the co-owner or “constructive owner” issue was one that should be decided by a jury, not a judge on a motion to dismiss — as the at-fault driver had insisted. What’s so bad about driving ‘uninsured’? You’ll be disqualified from receiving No-Fault benefits if you’re injured in a car crash. You’ll be prohibited from suing the at-fault driver for pain and suffering compensation, i.e., non-economic loss. You may be sued and held financially liable for the No-Fault benefits paid out to the at-fault driver and anyone else injured in the car accident. It is amazing to me that so many well-intentioned people who try to do the right thing and purchase No-Fault insurance are being punished by the very insurance companies who use this loophole to deny coverage. Most people — and this includes most of the insurance agents and No-Fault insurance lawyers that I know — have no idea about this hidden but very real danger. Unfortunately, the only way people are learning about this is after it is too late — after the car crash. And after the insurance company denies coverage.